KJUS team mate Lucas Swieykowski and I are involved in creating a new freeride line with our ski wear sponsor KJUS. Our job is to help the design team understand a freerider’s needs in order for them to make perfect, uncompromising ski wear for the demanding and experienced skier. We’re gathering ideas, sending the team ongoing feedback and photos, and generally spending a lot of time thinking about the perfect freeride jacket, pants and overalls. The new KJUS FRX line will be available in retail next winter. We’re currently working on the 2012/2013 line, I can’t wait for our creations to hit the shelves. Yesterday I had my first day freeriding again in St. Anton am Arlberg. Stefan Häusl and I found some nice skiing despite the fact that it had poured rain in the valley the previous day. Conditions were dangerous in higher elevations as well as lower elevations of all aspects due to the weight of the drenched snowpack. On the Schindlergrat we saw a huge fracture line of at least 2 metres on a ridge triggered by avi control. We skied the Schindler couloir, the safe option. I was in the best mood yesterday after a good day of freeriding, it’s scary how much I need to be out there to feel happy. 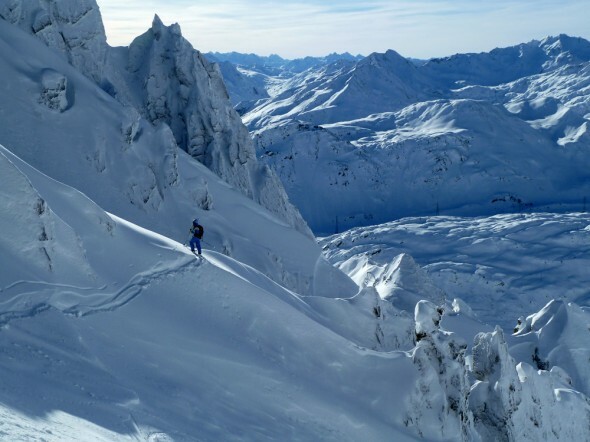 Skiing on the groomers or doing some gentle off-piste runs is great but not the same. I definitely felt my lack of fitness and today I’ve got sore muscles, all good though! 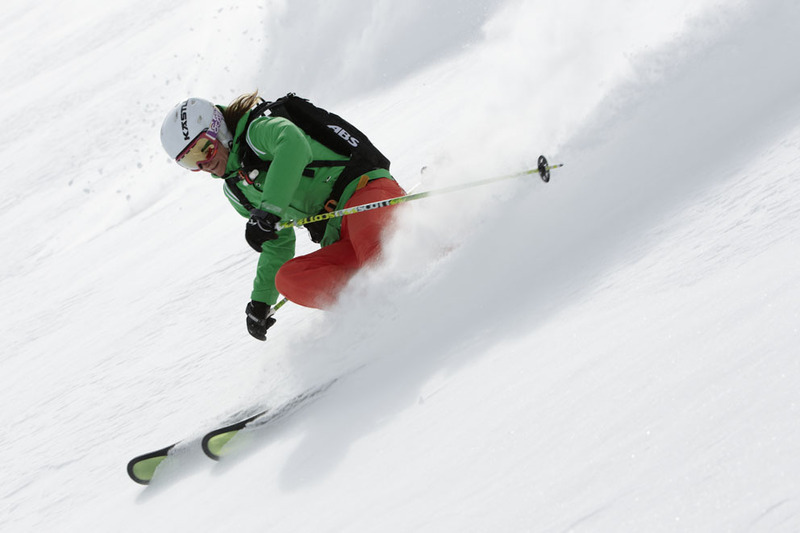 I’m proud to announce my new partnership with KJUS Skiwear (LK International AG) headquartered in Cham, Switzerland. KJUS is now my exclusive skiwear outfitter until at least 2012. I’m excited about working with the young and dynamic KJUS team in creating outstanding, freeride-oriented ski wear of the highest quality. 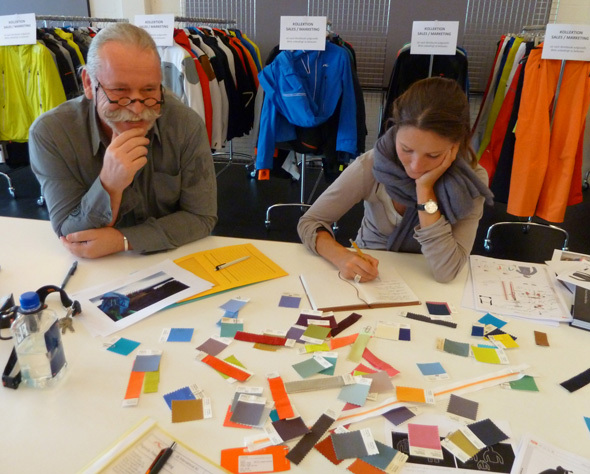 Founded in 2000, KJUS now manufactures and sells worldwide in 32 countries. KJUS stands for uncompromising skiwear, which is characterized by linear design, perfect fit and optimum freedom of movement. I’m travelling to Wanaka, New Zealand, next week to ski, train and compete for the next 2 months. Check back on my blog soon for some motivation and inspiration from the mountains!